It looks like Stupak is not ready to concede to the pro-aborts. He may or may not win, but he's putting up a good fight. 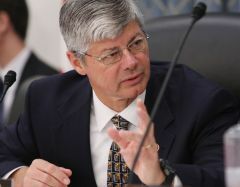 Congressman Bart Stupak, whose amendment to ban abortion funding from the House health care bill, has seen President Barack Obama's call and raised him. He says if Obama makes good on his threat to remove the ban in conference committee that he will effectively kill the health care bill. Stupak is commenting on a claim by White House Senior Adviser David Axelrod that Obama would intervene to remove the abortion funding ban. "They're not going to take it out. If they do, health care will not move forward," Stupak told Fox News today. "We won fair and square. ... That's why Mr. Axelrod's not a legislator. He doesn't really know what he's talking about," Stupak added.